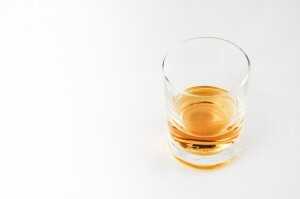 A complaint over a radio advertisement promoting Aldi Australia’s whisky brand has been dismissed by the Australian Advertising Standards Board. According to the Advertising Standards Board (‘Ad Standards’), the advertisement begins with the sound of bagpipes before a man with a Scottish accent introduces himself as the Head Distiller of Aldi’s Highland Earl Scotch Whisky. A women with an English accent then speaks over him translating his words despite the man complaining that he is speaking English. A complaint was submitted to the Advertising Standards Board by a member of the public claiming the advertisement was racist towards Scottish people. “This advert is racist towards Scottish people, as a Scotsman I am offended by the racist implications that I do not speak clearly and cannot be understood,” he said. “Advertisements like this perpetuate the stereotype that as a nation we cannot be understood,” the complainant’s submission stated. The complainant further submitted that if a similar advertisement were to be made with an Aboriginal person in place of the Scottish person it would not be considered acceptable and that the same standard should be in place for Scottish people. Aldi Australia however told the Advertising Standards Board it did not believe it had discriminated against Scottish people in the advertisement. “The radio ad in question is part of a series of advertisements that seek to highlight the provenance of Aldi’s liquor range through highly distinctive accents of the producing region: France for Aldi’s Mosinee Champagne, New Zealand for Aldi’s Fraser Brigg’s Premium Lager; and in this case, Scotland for Aldi’s Highland Earl Whisky,” Aldi told the Advertising Standards Board. “In each instance, the campaign intends to be light-hearted and humorous, while also demonstrating the product’s authenticity,” Aldi said. Aldi denied that it was “abusive” or “disparaging” to any race, and said it was simply saying that it had translated a language. Why was the complaint dismissed? The Advertising Standards Board ruled in Aldi’s favour saying the translator is presented as silly for thinking she needs to translate, and therefore there was no discrimination. “The Board acknowledged that making fun of a person’s accent is not necessarily acceptable regardless of their nationality but considered that in this instance the advertisement is not making fun of a Scottish accent but rather playing on a common scenario whereby a strong accent, in this case Scottish, can be difficult for some people to understand despite the same language being spoken,” the Board said.